The Broadway League has launched BROADWAY.ORG, a comprehensive resource dedicated to providing theatre-goers around the world with information about all Broadway shows—both in New York and across North America. BROADWAY.ORG combines two previously existing sites: ilovenytheater.com, specifically targeted to Broadway shows in New York, and touringbroadway.com, which was the League’s official website for Touring Broadway productions in nearly 200 markets throughout the U.S. and Canada. With improved functionality, the new site continues to be the official source of information and provider of direct access to all things Broadway. The new site features a deep integration between the New York City and touring shows. Site users can locate theatres across North America where Broadway shows are playing, and link to their official sites for more information. If they are on the page for a Broadway show, they will also be able to easily view its upcoming tour stops; and when on the page for a show on tour, will be able to see that it is also playing in New York and get information on that production. The new site provides up-to-date show and theatre information in six languages, a guide to hotel and dining options in Manhattan’s Theatre District, and general information about Broadway theatre-going. It provides access to show tickets at all price points to current and upcoming shows, direct from the theatres’ official ticketing offices in real time, without broker markups. The thoroughness and simplicity of the new site can be demonstrated with numerous features that are easy to navigate including: Google Maps and social media integration, the ability to search by location, an interactive map of the NYC theatre district and multi-media galleries. The League will be able to communicate timely announcements such as holiday schedules, weather advisories, updates on programs such as Kids’ Night on Broadway®, and more. The site also features a mobile app for Broadway in New York and later this year an enhanced app to include touring data is being planned. The League’s Digital and Technology team created the new site with the aid of website design firm Lounge Lizard. For more than a century, Broadway has been considered the pinnacle of live theatrical entertainment. Broadway is where America’s greatest playwrights, composers, lyricists, actors, singers, dancers, directors, designers, and choreographers bring great plays and musicals to life. 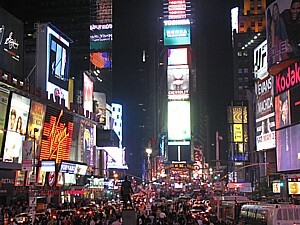 Touring Broadway encompasses first-class, professional productions that bring these shows to fans across North America.